I am now currently serving as Senior Web Application Developer on the Mobile Development Team and am responsible for the Security Model Service, Common Services (WebApi REST based SaaS) for Mobile & as well as Common Services (also WebApi REST based SaaS) for the EHR platform. I have been the primary contributor on Architectural Initiatives 2 years running which requires me to lead discussion after organizing and creating the standards by sourcing industry standards, coupled with best patterns and practices. This contributes to helping create standards driven development and test driven development coding philosophies. Main contributor and Team coordinator tasked with creating a complete and overarching coding standard as it applies to the company in terms of Microsoft development. It includes new direction and focus on creating Standards based Service Oriented Architectures using the M.S. WebApi 2 framework; and how Standards based Logging, Exception Handling, Authentication & Authorization can allow for sustained and manageable growth as a Medical software & hardware solutions company and encourage higher levels of cross-functional development, and usher in a homogeneously growing product line that can be consumed or used across several media delivery platforms. My motivation for the Coding Standards was to provide developers a "Common Services" architecture & API for consumption and digestion of internal & external facing resources to provide our consumers, clients & providers access to more real-time medical data across several media delivery platforms. I created a proof of concept and working prototype in free time to allow consumers of our internal resources to benefit from an improved security model offered by a relatively new RFC standard implemented in combination with E.O.I standards and delivered using a WebApi 2.0 framework. I re-factored the proof of concept to use dependency injection with both a Unit of Work and Repository Design pattern to follow S.O.L.I.D programming philosophies to create what is conceptually a low risk and simultaneously blazingly fast authentication mechanism and security model using best practices for modern development. Develop in a SCRUM team as well as SCRUM-BAN for over 6 months as an I.T. developer working closely with Product Owners, Business Analysts & Team Leads to create scalable reports and interfaces for an industry leader in Agricultural Data Aggregation. Using mainly Visual Studio for user interfaces, Visual Studio for SSIS, SSRS & SQL for CRUD & object/schema creation over several server environments and several database instances per server environment. Supported the business and operations through efforts in managing large databases using custom handwritten SQL 2008 scripts and VB.NET console app processes to assist with the management of the growing data infrastructure & underlying reporting mechanisms. Have worked on several cross functional teams at XS including new development work defined by operations & our clients (in scope user stories) as well as providing maintenance & support for the already burgeoning reporting platform. As a knowledgeable member of the IT staff my experience has led to several time & effort saving measurements through either my custom C# OOP TFS time & task management application or through my proposals for improvements & enhancements to existing technology by way of the excel export standards improvements or the upgrade main VB.NET 4.0 GFP application used to process most of the bulk data received from clients in either XML, Flat File or FMT formatted. Helped aid in the adoption of in-house coding standards for both SSMS & Visual Studio. I created my own C# TFS applications for time tracking & task management and passed it on for others to benefit from the automation & metric gathering abilities of Team Foundation. I have created standalone VB.NET console applications to parse & collate information based on defined structures to leverage .NET namespaces to facilitate tedious tasks & reduce dev time. Interacts with end users to maintain ongoing end user support. Writes application specifications, test plans, and other user documentation. Designs, develops, trouble-shoots, debugs and implements software code for internal developments. Assesses risk and impact to the existing system that may arise due to user requirements or functional changes; derives and modifies procedures and interfaces to solve problems requiring integration of application and databases. Performs functional testing to ensure the accuracy of code and effectiveness of user interfaces; follows company coding standards for all applications and source code maintenance; ensures that all documentation, including compliance related e.g. 404 (Sarbanes-Oxley), is completed in a timely manner. Proactively provides ideas and solutions to improve the system by being a key technical contributor on projects; within the functional area, shows understanding of Retail industry, electronic data interchange, report design, and database design. Understands business processes and knowledge of how systems and data are used in the enterprise to accomplish work and collaborate with others. Takes specific, appropriate actions on a daily basis which lead to effective completion of assigned tasks and expected progress toward goals; provides effort estimates and prioritizes tasks. the late Pyi Htun M.D. Complete design, development and implementation of an .NET 3.0 Online Institute that allows "Teachers" to upload course videos that they themselves create and teach "Student" who enroll and learn from a course oriented online classroom. "Smart-Client" design approach allows a user a seamless environment to interact with a teacher, but in a connected or disconnected state. The system communicates over the web using web services for data transmission. When changes are needed they simply connect and changes are received and/or posted. Administrators can also participate by login in and maintaining the institute from an administrator's point of view. Complete with all mechanisms for course creation, video upload, teacher/student/admin user creation, chat and messaging sub-systems Web site tie-in which is built on ASP.NET that allows for online payments with pay-pal integrated with the same web services to have a central administrative point for available courses, students, teachers, administrators that is platform independent and accessible over the web. The system is in ALPHA and will be available to BETA within March 2008. Complete design, development and implementation of a Photo album maker that includes over 100 custom features from photo finding, collating, capturing of video, images/ scanned documents/ web url video/ web url images while keeping the UI design slim with snap-able windows, reflective buttons, color gradient header panels and over 50 custom photo filters to alter/ fix your photo or layer. Database design on an Open Source SQL relational database (MySQL) with helper functions for setup, first time usage and restoration functions to clean restore a healthy database. Main web site design and updated postings for feature additions, bug fixes or news on usage or upcoming releases. Designed and implemented a web portal tie in site for collaboration of users that features dashboard gadgets that are hosted by various sources as XML, RSS, REST and other Web 2.0 live services. System testing, modeling, scaling and feature additions with a focus on completeness and reliability / usability. Installation publications to allow users to subscribe to a version of the system as well as getting new updates when they become available with a single click. Designed a conversion from a legacy Open Source dental system to a later more modern version. Designed a custom reports module & management system to give dental providers & admin statistics. Expanded the scalability of the system by implementing .NET publishing for automatic updates. Expanded the usability of the system and improved the user interface by making it friendly and functional. Designed and developed a VB 6 completely paperless physician practice management system. Designed and maintained a MS SQL Server relational database consisting 100's of items. This system has integrated scheduling, check-in, nursing, physician, pharmaceutical, laboratory, billing and archival recording. The system has over 1000 features and is designed to run a doctor's office while being HIPAA compliant and 100% paperless. Integrated the Smart-card portable medical record (Smart-Record) into the practice management system. This included a patient Kiosk system and update mechanism. Integrated laboratory testing equipment, fax documents and EDI files with both systems. Implemented training material/courses for our recruits or users, managers & physicians. Designed and developed a completely paperless physician practice management system. Integrated the Smart-card portable medical record into the practice management system. Integrated laboratory testing equipment, fax documents and EDI files with both systems. Implemented training material/courses for our recruits or users, managers & physicians. Increased scalability and usability of a Smart-card based portable patient medical record. Designed and implemented a Smart-card page file partition defragmenter for long term usage. Developed modern interfaces with user assistance wizards for kiosk based systems. Monitor patients EKG values and report findings to clinicians in an inpatient hospital environment. Enter hospital charges into the electronic system and provide feedback and operations support to patients through intercom. I am currently a Microsoft Certified Technology Specialist, in the process of becoming a Microsoft Certified Professional. • I have been developing client, server & web applications for over 15+ years. • Database design for various MS SQL Servers as well as Open Source solutions. • Have programmed 100s of software solutions for either Medical, Financial, Petroleum, Agricultural or Retail Industries as well as custom in home automation. • Created and stewarded RESTful services coding standards, general coding standards, logging frameworks, as well as Security models and implemented OAuth2 providers and consumer standards in conjunction with my own EOI standard. • Proficient in Test Driven Development using MSTest and Coded UI Tests. • In free time I have designed & coded an Augmented Reality web cam software to bring real-world interactivity with a computer. Allows for custom 3D images to be overlaid on actual real life surfaces in real time. • My latest Pet Project is a WPF application using Speech Recognition & SAPI TTS to turn a Kinect usb peripheral & WPF app into a Home Automation Command Console. It recognizes words sentences & can perform many home automation actions including lights, weather alerts, reminders, emails, date/time, & sports. • TFS DevOps for creating & editing Process Definitions, Workflows, Work Item Types, Build Definitions & setup of Release Manager. I had the pleasure of working with Matt at XS, Inc. and was privileged to do so. Matt is an extremely talented software developer who also has the experience of a Software Engineer. 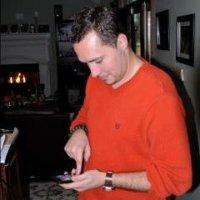 Matt is proficient in designing, development, debugging, test automation and more. Matt is meticulous when it comes to code writing and is very creative. In testing Matt's code, I was always assured that there were minimal bugs found if any at all. Matt is client focused and extremely dedicated to his team and the company as a whole. Matt is an asset to any company he works for. Matt is a motivational and bright individual, and it has been a pleasure working with Matt. He is truly a fan of technology and shows a can-do spirit in many of the things he does. Matt worked on a complicated project for me and completed it in record time! He also followed up regularly and made sure I had just what I needed.